The comet will be as bright or brighter than the full Moon. The comet will be visible during the day. 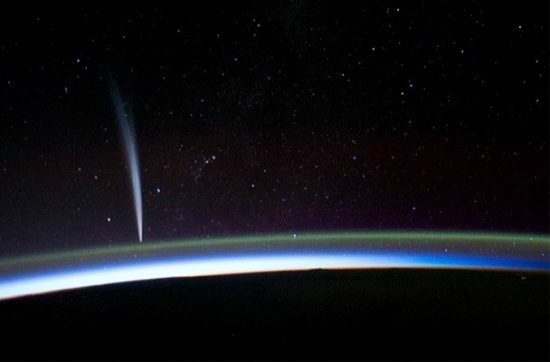 The comet’s tail will span half the sky. With two weeks to perihelion and with the comet plunging towards morning twilight we take a look at true prospects for ISON. Comet Ikeya-Seki in 1965. This Kreutz family sungrazer was the brightest comet of the 20th Century. It was widely seen in broad daylight, right next to the Sun! Photo: Roger Lynds. 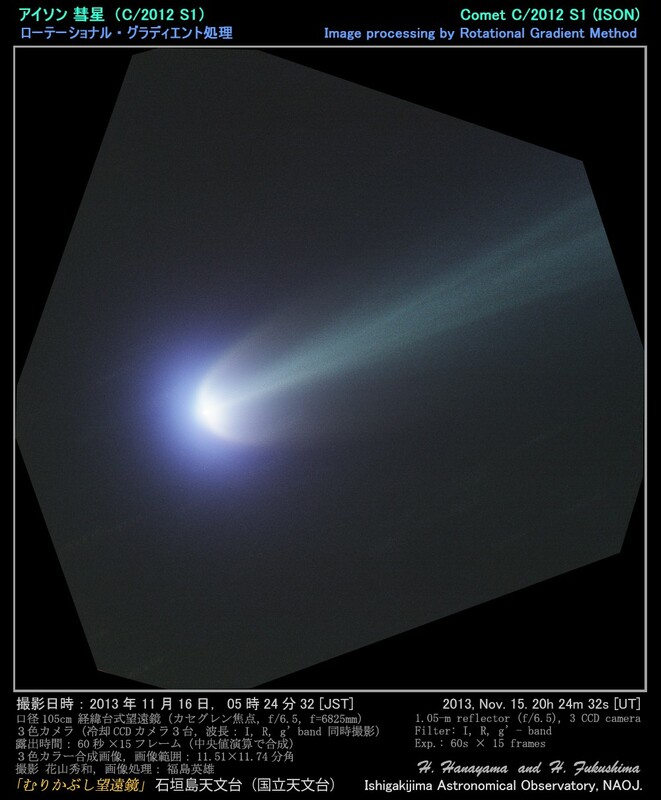 For the latest news on comet ISON scroll to the bottom of the page: LAST UPDATE (Nov 18): Evolving comet ISON! The major hype about comet ISON is all due to its orbit. The comet is in a sungrazing orbit, passing only 1.2 million km above the Sun’s surface (less than one Solar diameter!) at its closest. Sungrazing comets include some of the brightest and finest comets in history, including the Great comets of 1680, 1843, 1882 and comet Ikeya-Seki of 1965. 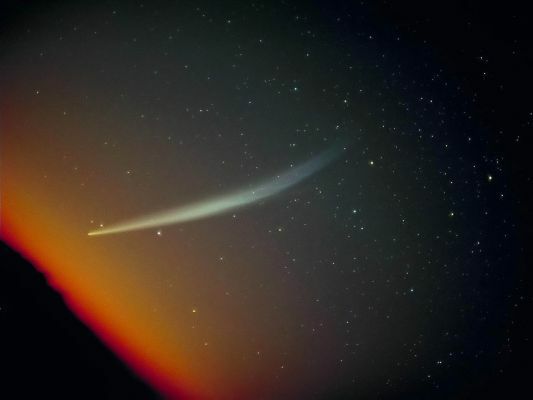 The intense heat experienced by the comet so near the Sun causes violent outgassing and dust release, resulting in spectacular displays of brighness and tail length. The Great September comet of 1882 was so bright, it was seen in broad daylight by casual witnesses while it was located right next to the Sun. Complete with tail, spanning six times the apparent size of the Sun! The last sungrazer before ISON was comet C/2011 W3 (Lovejoy) in December 2011. It was the first sungrazer seen in 41 years. This image was taken from the International Space Station. The greenish layer is the natural airglow of oxygen at about 90 km altitude. Photo: NASA. 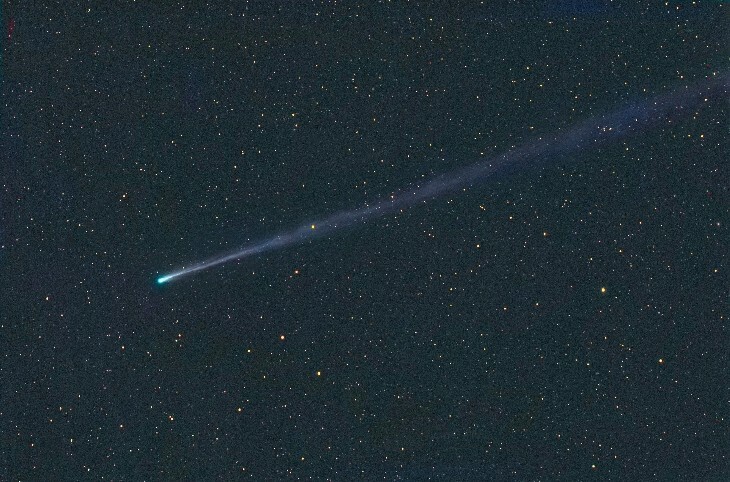 Comet ISON is a dynamically new comet. This means it is on its first journey from the Oort cloud to the Sun. The Oort cloud is a vast cloud of billions of cometary nuclei spanning halfway to the nearest star. Comets – small bodies made of ice and dust meters to tens of kilometers in diameter – have been there since the formation of the Solar system, 4.5 billion years ago. Such comets are rich with especially volatile ices, such as CO2, CO, methane, ethane, etc. They become unusually bright at large distances from the Sun, as the volatile ices begin sublimate. This effect gives the illusion that the comet is larger and more active than it actually is. Most (but not all) dynamically new comets experience a slowdown in activity and brightening rate close to the Sun. Often, predictions of spectacular brightness and size are made for such comets, which then fail to live up to expectations. 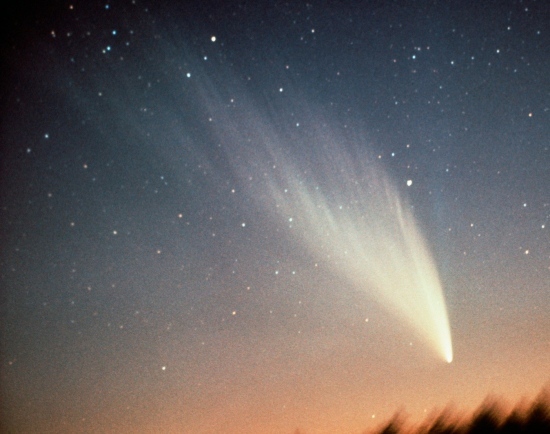 Perhaps the greatest of such disappointments was comet Kohoutek in 1973. Widely expected to become Comet of the Century, it failed tp become anywhere near as spectacular as expected. 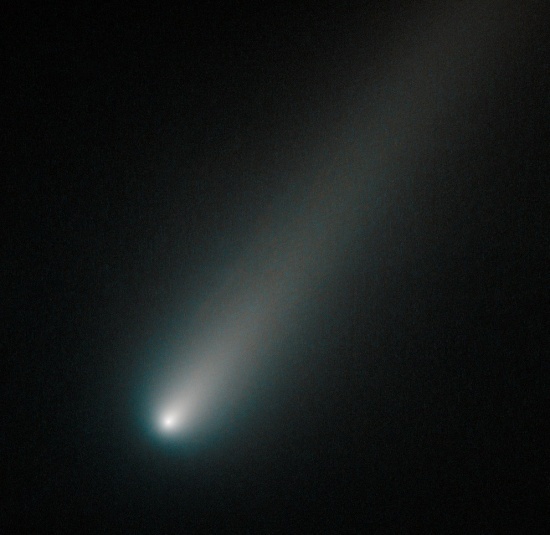 Comet ISON imaged by the Hubble Space Telescope on October 9. It displays a compact, bright coma and a straight dust tail. At this time the comet was easily visible in small telescopes. Source: NASA/HST. At the time of this writing the comet is in outburst at about 6. magnitude, still behind early predictions, but now just at the limit of naked eye visibility. Under dark skies it is easily visible in binoculars low in the southeastern sky (in the constellation Virgo) just before dawn. 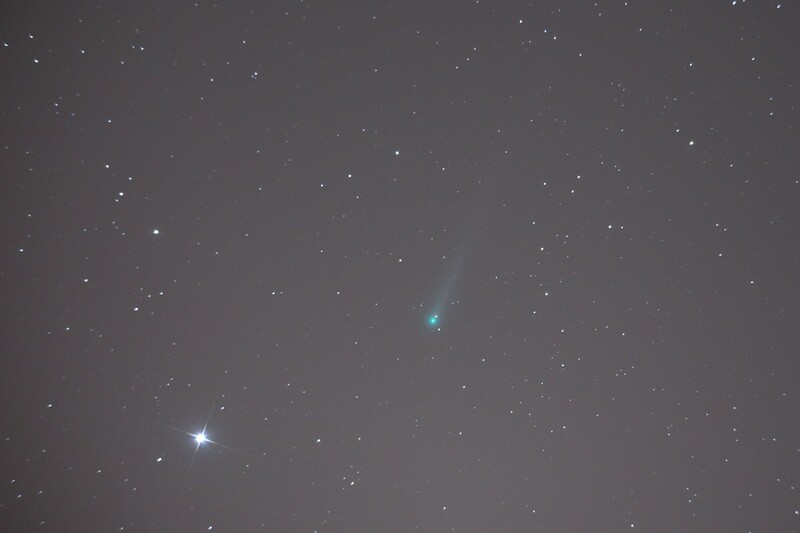 Comet ISON imaged by Matic Smrekar of ADL on November 7. Matic used a 15-cm f/5 telescope and Canon 6D camera for this 120-sec exposure on ISO 6400. HOW BRIGHT WILL IT GET? Being a dynamically new comet it is even more unpredictable than comets already are. The comet first brightened quickly during the first half of 2013. After appearing again from behind the Sun in August its brightening rate had slowed considerably. Then the comet raised alarms when it stopped brightening altogether between about October 5 and 22. The last three weeks or so the comet has been brightening at a steady rate, but then experienced a major outburst in brightness on November 13-14. With the major outburst happening it is now very difficult to predict the comet’s brightness in the next several weeks. The outburst might signal any of several different processes. In the worst-case scenario, the outburst is the sign of the comet’s nucleus disintegrating. In this case, the nucleus would disintegrate into a cloud of dust and ice particles and over the course of a week or so fade away. Comet C/1999 S4 (LINEAR), one of the most famous disintergating comets. The image shows an elongated cloud of particles from the nucleus breakup. No fragments larger than boulders remained. The comet slowly diffused and faded away. Photo: ING/Mark Kidger. A sudden outburst in brightness might be caused by the comet’s nucleus breaking up into several large fragments. In this case the comet would sustain at least some of its current brightness increase as new fresh icy surfaces would be exposed to sunlight. The outburst may have been caused by a smaller fragment breaking off of the main nucleus, in which case the comet would slowly settle back to almost its earlier brightness. The most favourable scenario, however, would be that a fresh part of the comet’s surface has activated. This could either be due to new regions of the nucleus that have thus far been in darkness rotating into sunlight or an old active region, that has been gradually covered by rubble, heated up enough to blow off the rubble mantle and begin spewing out gas and dust with renewed vigor. In this case it the comet will hold its new brightness and brighten signficantly as it plunges towards the Sun. One of the most spectacular examples of fragmenting comets was comet West, the Great comet of 1976. Near perihelion it disrupted into four fragments, releasing enormous quantities of gas and dust. It became one of the greatest comets of 20th century. Note – West was not a sungrazer. Source: J. Linder/ESO. As for how bright it will get it is currently anyone’s guess. A better estimate will be possible in a few days, when it becomes clear which of the above processes is currently taking place. Assuming a favourable scenario in which the comet remains more or less intact at least up to perihelion, a significant tail is expected to form. During its close brush with the Sun, the comet will heat up tremendously, outgassing violently and spewing out large quantities of small dust particles. These will be slowly pushed out by the radiation pressure of sunlight and form the comet’s dust tail. Sungrazing comets usually have highly peculiar – long, nearly straight and very bright – dust tails. The tail might span a significant fraction of the sky and provide an impressive naked eye sight. The comet is currently visible low in the morning sky. It is located in the constellation Virgo, not far from the bright star Spica. It will pass very close to Spica on November 18 and then over the next few days enter bright twilight. You will need to find a clear location with an unobstructed view of southeastern horizon. Also, try to find a location at a higher elevation, as you will be looking through less haze near the horizon and the view of the comet will be clearer and better. Stay tuned for updates on the comet’s visibility. Use these charts to find the comet. Or these. Having difficulties? Can’t find the comet? Want to share your view? 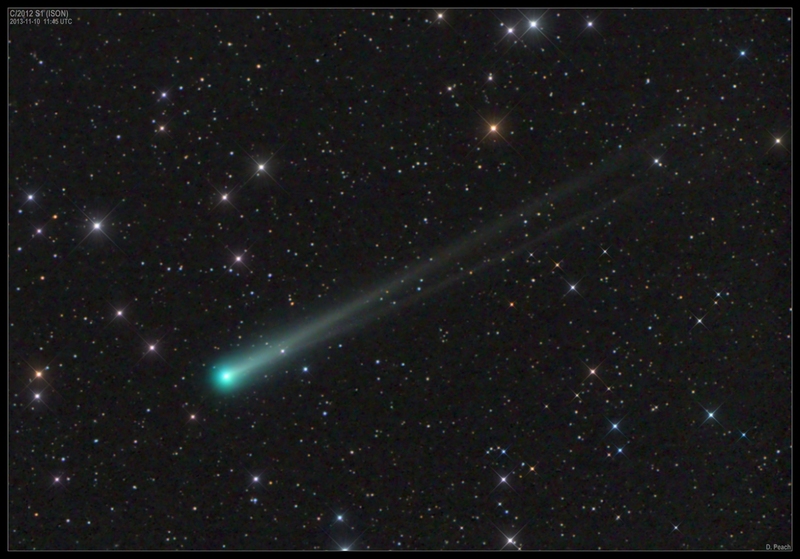 UPDATE (Nov 18): Evolving comet ISON! The comet has been bright over the past several days following the outburst on Nov 13. The Moon has now begun to seriously interfere with observations, so estimates of the comet’s brightness are now between about magnitude 4.7 and 5.6. But the main spectacle is now its tail! 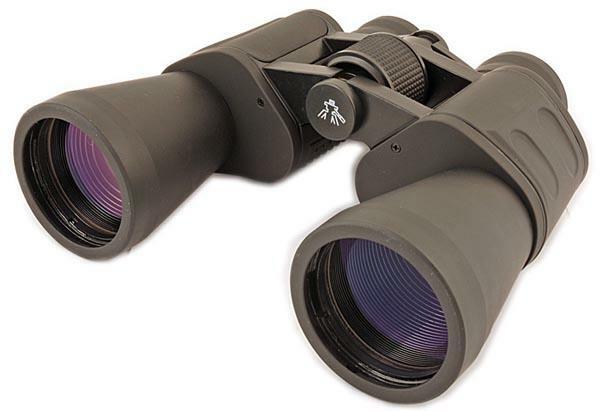 Observers are seeing up to nearly 3° of tail in binoculars. 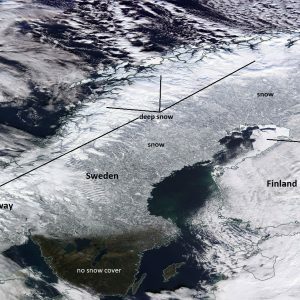 Images on November 17 showed over 7° of tail! That’s the apparent width of a closed fist on an outstretched arm. On photographs the tail displays complex structure with multiple streamers. High-resolution images of the comet show very complex structure with multiple jets from the nucleus forming a parabolic hood. Such distinct structure is very rarely seen! No evidence of nucleus disintegration has been observed. 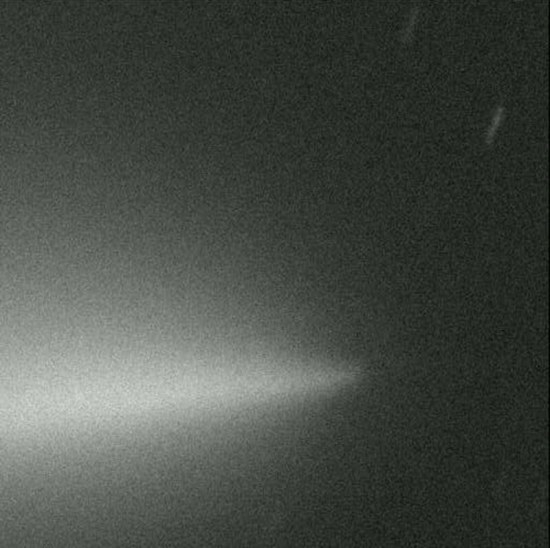 Image of comet ISON inner coma and tail structure on November 15, 20:24 UTC. The greenish coma contains a distinct parabolic hood and multiple streamers in the tail. Taken with a 1.05-m f/6.5 telescope and CCD camera. Image credit: Hidekazu Hanayama and Hideo Fukushima, Ishigakijima, Okinawa, Japan. With the nearly-full Moon now in the morning sky, the comet is more difficult to spot and the tail washed out by moonlight. Still, binocular and small telescopes show the comet’s condensed bluish coma and the brightest portions of the tail. With the comet nearing perihelion on November 28 it is slipping deeper into the morning twilight and becoming more difficult to observe. UPDATE (Nov 15): Comet continues in outburst, now brighter than 5. magnitude! Comet ISON has already reached magnitude 4.8, reports Alan Hale of New Mexico (co-discoverer of comet Hale-Bopp, the Great comet of 1997). This is over 10 times brighter than only two days ago. You might be able to spot it with the naked eye if the sky near the southeastern horizon at your location is really clear! Check out this fantastic image by Jerry Lodriguss! And by Mike Hankey! 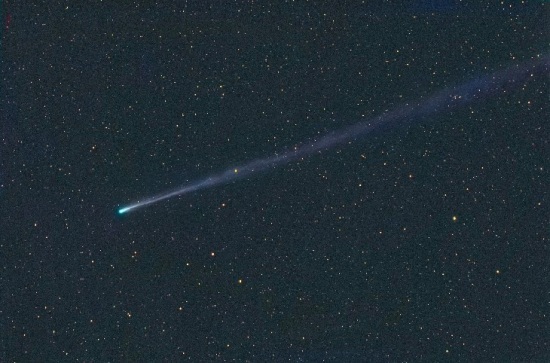 UPDATE (Nov 14): Comet ISON in strong outburst at 6. magnitude! Observers are reporting massive brighness increase of the comet. In only 24 hours the comet brightened from about 8. magnitude, faintly visible in binoculars, to 6. magnitude, borderline naked-eye visibility under dark skies. The morphology of the tail has also changed significantly with multiple bright gas streamers now visible. EDIT 23:10 UTC: latest estimates by Australian observer Rob Kaufman put the comet already at magnitude 5.5. ESA astronomer Mark Kidger suspects the comet might be disintegrating in a manner similar to comet C/1999 S4 (LINEAR). Should this be the case, the comets coma will rapidly become less condensed and elongated. In any case, the comet is now a great sight in binoculars and telescopes with beautiful aqua-colored coma and a distinct tail. The color is very reminiscent of another comet that underwent a major outburst, but did not disintegrate – C/2006 M4 (SWAN). Check out these images by Damian Peach and Gerald Rhemann. More images coming! 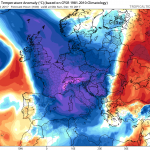 Powerful Arctic blast towards central Europe and N Mediterranean this weekend – UPDATED! «Next Post Have hurricane-force Bora winds? Will travel!